If you are looking for a healthier alternative to fried french fries, you’ve found it! 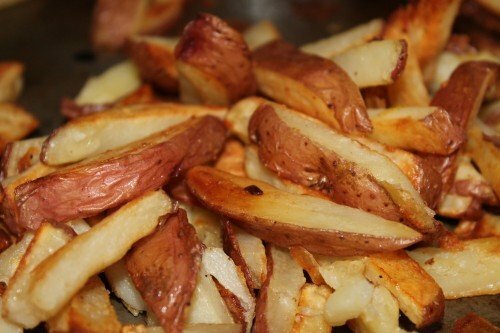 These fries are made baked-not fried-and made from red potatoes instead of white, making them healthier…and more tasty! Everyone in my family loves these fries, from my mom to my children. 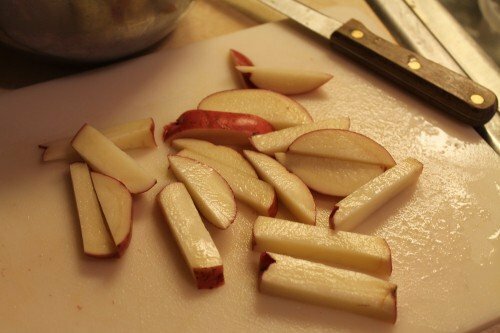 Cut up your potatoes into fries. 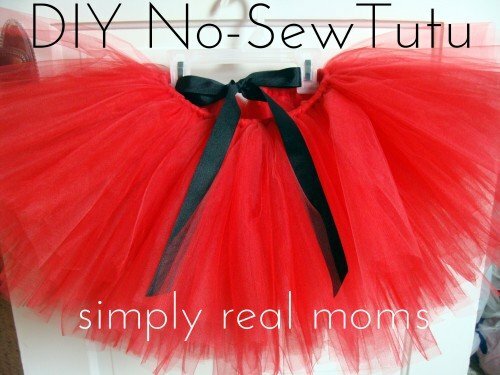 I usually cut mine in half, then make them strips. Preheat your oven to 425F. 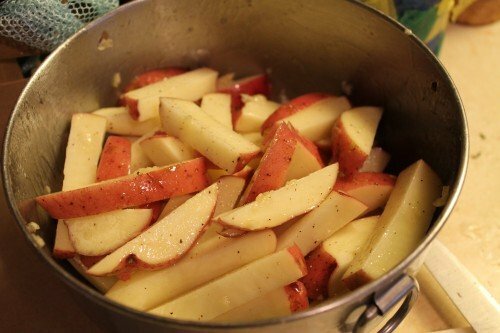 In a bowl, mix the cut potatoes, oil, garlic and any salt and pepper. Layer the fries flat on a baking pan. 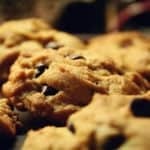 Bake for about 15 minutes, flip, and bake for an additional 10-15 minutes (depending on the level of crispiness your family likes). 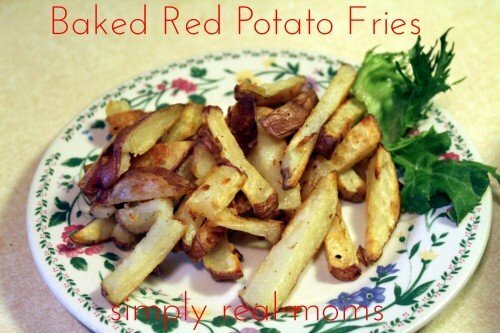 Baked red potato fries are a healthier alternative to fried fries! Toss cut potatoes in a bowl with oil, garlic, salt and pepper. Bake for 25-30 minutes, flipping over about 15 minutes into the baking. I was envisioned when I Googled this. 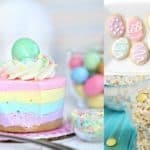 Thank you so much, I am going to make them tonight. I will definately post the results but I gaurantee this is going to score a 101 out of 10! God Bless.